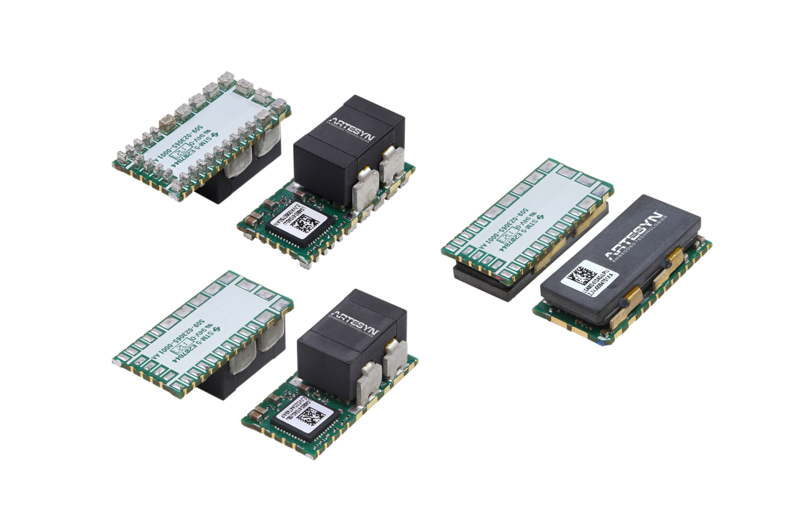 Tempe, Ariz. [19 February, 2018] — Artesyn Embedded Technologies today announced the LGA50D dc-dc module, which offers one of the highest current density ratings in the industry. With a footprint of just 1 x 0.5 inches or 25.4 x 12.5mm, this innovative non-isolated unit offers two independent and configurable 25 amp, 50 watt outputs, which can also be combined to a single configurable 50 amp, 100 watt output. Design engineers can also generate higher current rated rails by connecting up to 4 units in parallel so that up to 200 amps can be supplied as a single power rail. 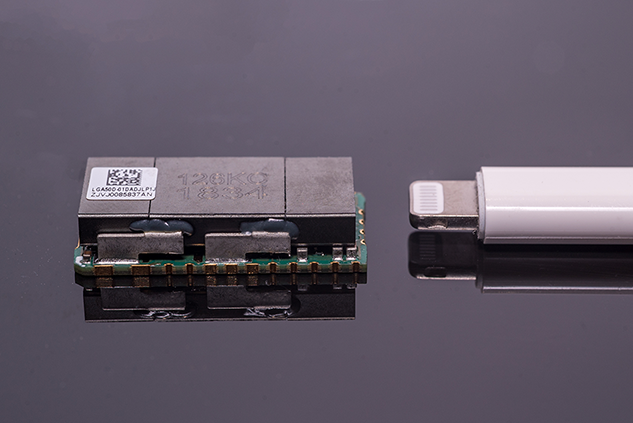 A low-profile variant that is just 0.23 inches (6 mm) high is ideal for height-constrained applications, such as compact 5G wireless network nodes. Applications such as graphics, data or video processing, using high power devices, such as server processors, FPGAs, supercomputers, network, storage and telecom equipment, can also benefit from the current density, efficiency and flexibility of control of Artesyn’s LGA50D digital dc-dc converter. The input voltage and output voltage specifications remain the same in any configuration, so the input is defined as 7.5 V to 14 V and the output voltage can always be adjusted within the range of 0.6 V to 5.2 V meaning that Artesyn’s LGA50D digital dc-dc converter can support a broad range of semiconductor devices and applications. The LGA50D supports both analog control and digital control functions, so design engineers can control units with resistors or control and monitor the converter modules using the industry-standard PMBus digital interface. For simple evaluation, configuration and monitoring, Artesyn offers a PC-based graphical software package in conjunction with an evaluation kit. Two intuitive tabs allow developers to enter the required settings for individual converters and monitor the status and parameters. The demonstration board is fitted with two LGA50D modules allowing design engineers to test independent-channel or stacked-module operation. Artesyn’s new LGA50D series dc-dc modules are compatible with the company’s 80 amp LGA80D series, offering equipment makers scalability with a common fit, form and function at different power and current ranges. Artesyn Embedded Technologies, Artesyn and the Artesyn Embedded Technologies logo are trademarks and service marks of Artesyn Embedded Technologies, Inc. All other names and logos referred to are trade names, trademarks, or registered trademarks of their respective owners. © 2019 Artesyn Embedded Technologies, Inc. All rights reserved. For full legal terms and conditions, please visit www.artesyn.com/legal.